The Cessna 310 is a twin-engine aircraft perfect for smaller groups of two to four passengers with competitive operating costs. The Cessna 402 series aircraft are ideal for groups of up to six passengers. The aircraft features a wide body cabin for passenger comfort. The Cessna 404 is one of the best lifting, light twin-engine aircraft around. With a capacity of up to eight passengers, it is a versatile and affordable people mover. This aircraft can operate from many remote airstrips as required. 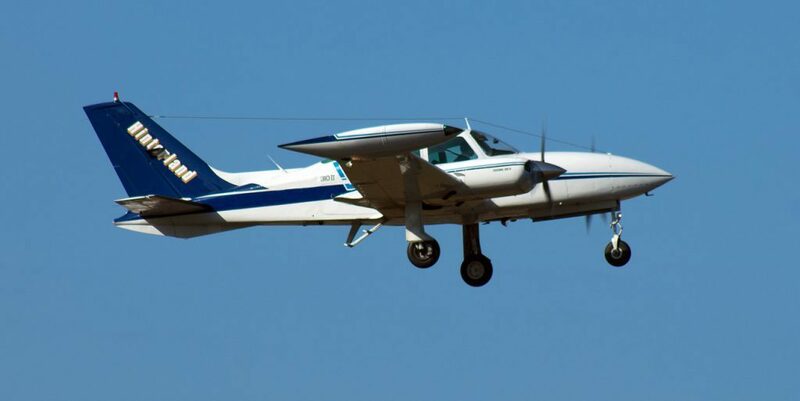 The Cessna Caravan has become a popular aircraft throughout Australia, with its ability to transport up to twelve passengers with comfort and cost efficiency. The enhanced reliability of a turboprop engine has meant the aircraft can be operated for charter and airline operations. The pressurised King Air offers a comfortable cabin for up to eleven passengers and is quieter than some popular business private planes. The King Air’s cabin is both generous in space and refined in design with contoured cabin chairs to offer maximum comfort. Our King Air is also fitted with a medivac kit making it capable of conducting medical retrievals. Hinterland Aviation is fully equipped for scheduled maintenance of its aircraft, major overhauls, repair and modifications of pressurised, non-pressurised, turboprop and piston engine aircraft. The company meets the continuing airworthiness and maintenance regulations of Civil Aviation Safety Authority and is AS/NZS 4801 and ISO 9001:2015 accredited. Hinterland Aviation has a fleet of aircraft to suit any of your personalised travel needs. Please call us on + 61 7 4040 1333 for expert advice on choosing the most suitable aircraft for your needs or for more information on private air charter.